Portraying a famous person in history means learning as much about them as you possibly can. And that's exactly what I've been trying to do since I began interpreting as Paul Revere. Paul Revere does not have the library of biographies that Benjamin Franklin, George Washington, Thomas Jefferson, or even Abraham Lincoln have, and that can be a plus and a minus. The plus: since there's not nearly as much information available on Revere in comparison to the most popular of the Founding Fathers, it makes it a little easier for me to do my presenting of the man. The minus: there's not nearly the information to add to my interpreting. or is it Rachel with Paul Revere? So, I have to up my research and dig deeper into the life of the man who helped to spur on the beginning of the Revolutionary War. Now, one of the things that's been brought up of late is that, besides Abigail Adams, Martha Washington, or even Dolley Madison, not too much is known about the women behind the men of the founding generation. However, please remember that, besides living in a different era, the people of this time also lived in a very different environment than our own, and therefore, as much as it may frustrate us, they just did not keep too many records of the 'mundane life' of the everyday person, including women (and most men). But let's be thankful that we are now in our day and age, and many of us are digging and scraping to collect whatever biographical bits we can locate to rectify the situation as best as we are able. So rather than be angry, which will serve little to no purpose, let's channel that energy and continue the research on those who we no longer consider to be mundane and move forward from here, and give the more well-rounded lesson on both the men and the women of Revolutionary times. With that being said, I present to you, as best as I can with what information is available, Sarah and Rachel Revere. (By the way, unless otherwise noted, whatever you see in italics was taken directly from author Esther Forbes' wonderfully descriptive book Paul Revere & The World He Lived In. She wrote this in such a manner that it truly does live up to its title. Since everyday life in the past is what I am all about, I simply 'lifted' the parts that tended to bring the Revere wives to life, for I felt it best to keep it as the author's own). Little is known of Sarah Orne, who was born April 2, 1736. But through the tiny bits of information we have of her, we can only do our best to peer into her life as the young wife of Paul Revere. He may have taken this girl (Sarah Orne) rowing on the harbor, and, after a picnic on one of the islands, lain for hours, silent, with his head in her lap, as did other young courting men of the period. Sarah Orne may have first guessed his devotion when she noticed how, during Sabbath Meeting, his eyes sought hers and never the Reverend Ebenezer Pemberton's. And there he would be afterwards, waiting to walk home with her. Whether Paul & Sarah reacted by way of plenty of frolics during which an old English roughness of manner and courting customs came to the top, or by the more traditional method of exchanging glances in meeting, we may never find out, but it is known that the two were wed on the 4th of August, 1757. In the family Bible, her husband wrote her name down as 'Sary,' so we can assume this is what he must have called her. Paul took his young bride home to his mother's house where he assumed responsibility for his mother and younger sisters, a new wife, and the apprenticeship of his younger brother Thomas. Here was his shop and his father's tools. Here his means of livelihood. Young brides were not often asked whether they liked living with their mothers-in-law or not. They were adaptable...and humble (by modern standards). 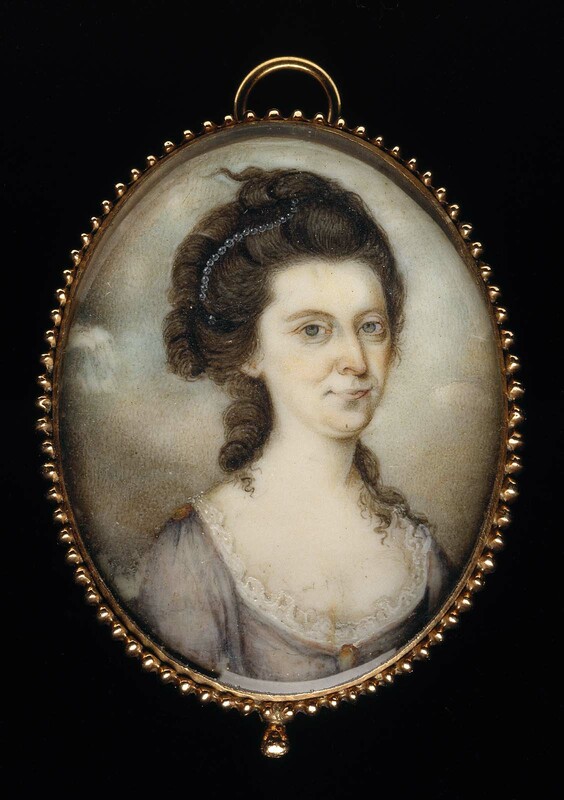 On April 3rd of the following year, Sarah was brought to bed of a daughter (named Deborah after Mrs. Revere), and this first child was followed by seven more over the next fifteen years – seven daughters and a son, Paul Jr., who followed in his father’s silversmithing profession. In February 1770, Paul Revere and his family were living in a newly purchased home, which proved ideal for Revere’s growing family and his widowed mother Deborah. I found this next moment rather poignant only because it helps us to understand another part of the mindset of one who lived in the 18th century as well as to put a bit more meat/flesh on the bones of the 'mythical' Paul Revere and his household. It was on the fifteenth of April, 1772 and Sarah was in labor, about to give birth to her eighth child. The midwife was called. The younger children sent for a night or two to relatives. The midwife would be in command (no matter who else was in the room with her), ordering hot water or warm flannels, reverting to such primitive beliefs as that a knife under the bed cuts pain, or if the delivery was hard one can speed matters by opening doors and windows, unlocking every chest and cupboard in the house. The only thing that can be said for those old women was the vast amount of experience they had. If it was the mid-wife’s opinion that this child would be the death of its mother, she would not hesitate to say so. The morale of the patient was not much considered and it was thought important that the seriously sick be given as long as possible to make their peace (and to prepare to meet their maker). Sarah lived through the spring. (Newborn daughter) Isanna was, doubtless, one of those weakly babies, frail and complaining from birth, born without the wish to live. It would be hard to leave the other children motherless. Deborah, the oldest, was only fifteen. Nor would the thought necessarily comfort her that Paul might (like your average widower) quickly find another younger, less worn woman to carry on the burdens she now has to relinquish. Her place at the table, her pew in church, her half of the broad bed would be quickly filled. Another would care for the children she had brought forth in sorrow and travail---as the Bible said. Sarah Orne Revere died on the third of May, 1773. Paul Revere selected for his wife a type of stone at the moment in great fashion. It has the bleak skull and crossbones in high relief. So little is known about this first wife of Paul Revere, and yet that little to us seems sad. I also personally find it unfortunate that there was no likeness of Sarah made. Folks noticed that Paul Revere was behaving “perfectly naturally,” even though he had been widowed only for a few weeks. (Baby) Isanna lived long enough to give hope she might pull through and to develop a certain type of personality. (But) Sarah would not need to wait long underground before this baby would join her. Yes, I am certain the thought of leaving her children motherless was painful for Sarah, for I am sure she knew her place at table, her pew in church, her half of the broad bed would quickly be filled. Clever, capable, kindly - but no beauty. However, so fashions change - she may have been considered extremely handsome. In spite of Rachel's charms, the man was anxious to be off, for, he said, he always tried to get home before his children were asleep---but wouldn't she go to his house with him? Probably it was the attraction of Paul himself that made Rachel go with him, but the story is that it was pity for poor Isanna that made her stay the evening, and soon return for good. Will point out the Fair One nearest my Heart. A “pain that makes traitors confess” is the rack, and three-fourths of that word is RAC. A “place where the wicked don’t bless” is Hell, and three parts of that is HEL. Shopkeepers were often on their feet all day walking, and four-sevenths of that participle produces WALK. To refuse to do good is to ERR. Put those sets of letters together, and you get RACHEL WALKER. Quite witty, that Mr. Revere! 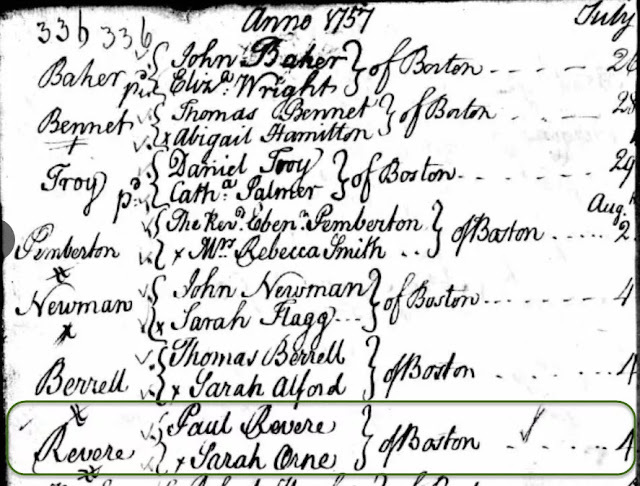 On the tenth day of October in 1773, Rachel Walker and Paul Revere were married by the Reverend Samuel Mather. Rachel Walker Revere took immediate responsibility for her new home and her husband's six surviving children, while her husband devoted himself to politics and the assumption of a new role as messenger of the American Revolution, for he did numerous rides before his most famous in April of 1775. Keeping in mind that since Rachel was married to Paul Revere, who was involved in what might be called numerous treasonous activities, she had a bit more to worry and think about than the majority of her female contemporaries. But the absence of her husband due to his work for the Revolutionary cause was nothing new for Rachel Revere; during the first eighteen months of their marriage, she already had seen Paul embark on nine separate trips on behalf of the Patriot leadership in Boston to places as far away as New York and Philadelphia, as well as on local trips to Portsmouth and Exeter, New Hampshire. This was all prior to the battle of Concord and Lexington in 1775. In fact, only six days after giving birth to their first son, Joshua, in December of 1774, her husband took the ride to Portsmouth. 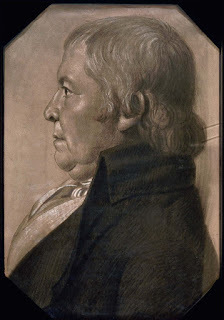 Paul Revere was already well known to the British for his insurgent activities, and Rachel, herself being a Daughter of Liberty, was concerned that her husband would be stranded away from home with no means of feeding himself or the horse during what would become his most famous of rides that April night in 1775, so she sent prayers and 125 pounds in British currency, entrusting it to Benjamin Church for delivery to her husband. Church was a member of the Provincial Congress of Massachusetts and the surgeon general of George Washington's troops and seemed able to pass through British lines. Unfortunately for Rachel, Dr. Church also was a spy for the British. So, instead of conveying the letter to Revere, Church handed it over to Gage. History gives no mention of Rachel's cash, and it is presumed that either Gage or Church kept the 125 pounds. was found a century later in files. 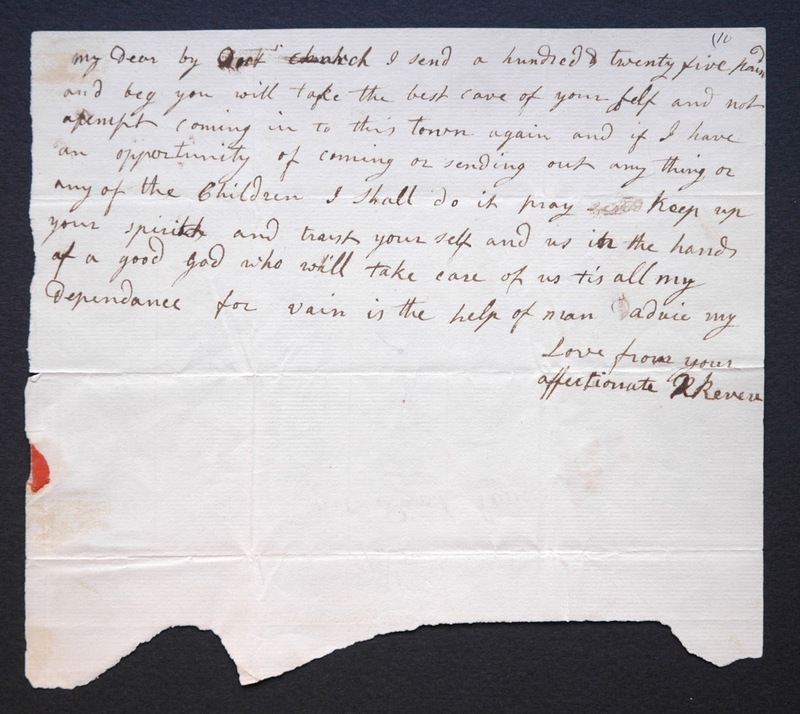 "My Dear, by Doctor Church I send a hundred & twenty-five pounds & beg you will take the best care of yourself and not attempt coming into this towne again & if I have an opportunity of coming or sending out anything or any of the Children I shall do it. Pray keep up your spirits & trust your self & us in the hands of a good God who will take care of us. Tis all my Dependence, for vain is the help of man. Aduie my Love from your affectionate R. Revere." Paul Revere never saw the letter nor received the money. 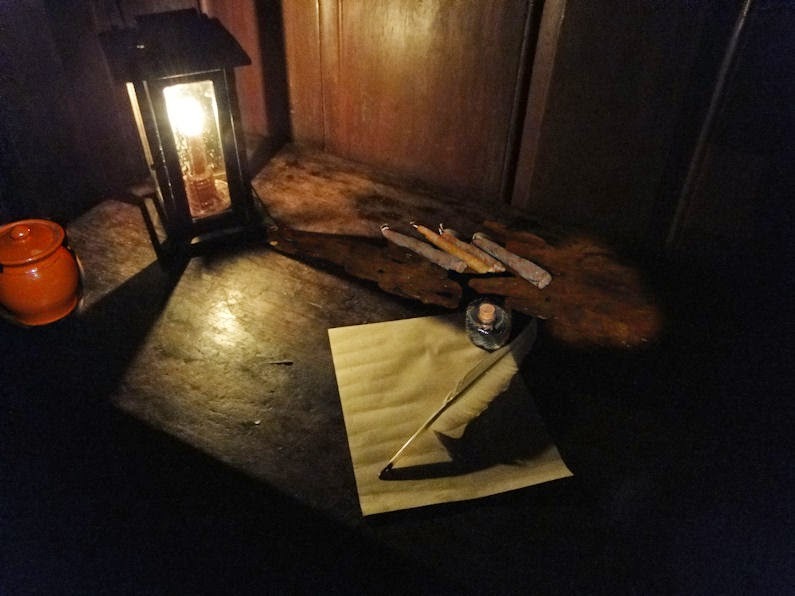 In this next letter we do get a brief glimpse of Rachel's character at a moment of crisis in their lives, for it shows her to have been busy with the momentous events taking place around her. But she was very anxious and wanted to be of some help to her husband. 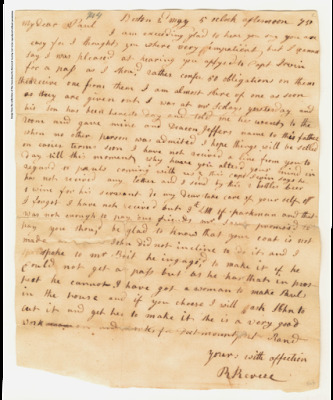 Torn by the necessity of offering bribes to the servant of a British officer she clearly detested to secure her family's safety in getting a pass out of town for herself and the many children, and by the necessity of leaving her fifteen-year-old stepson, Paul, behind the British lines in Boston, she concerned herself with settling family business affairs and supplying her husband with money and clothing. An original example of the type of pass Rachel needed to pass through British lines. Tell Betty, My Mother, Mrs Metcalf if they think to stay, as we talked at first, tell them I will supply them with all the cash & other things in my power but if they think to come away, I will do all in my power to provide for them, perhaps before this week is out there will be liberty for Boats to go to Notomy (Revere could mean Menotomy), then we can take them all. If you send the things to the ferry send enough to fill a cart, them that are the most wanted. Give Mrs. Metcalf [torn]in, their part of the money I dont remember the sums, but perhaps they can. By May 22, according to Jayne Triber’s biography A True Republican, the whole family was in Watertown (except for oldest son Paul, Jr., who stayed behind to look after the shop). Such times that we think of as being exciting as we look back from our present time with our '20/20 vision,' were not quite so for those who lived through it, who were weary and, just as Rachel, anxious. The next time we hear about the women in Paul Revere's life is two years after his famous ride. 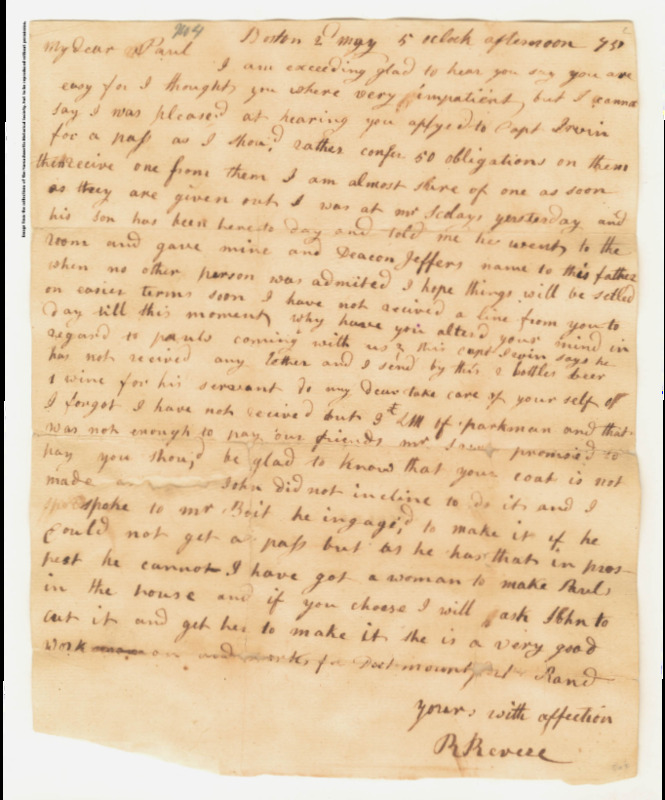 Paul Revere had lived with his mother all of his life, and she had helped raise his children, but on May 23, 1777, Deborah Hitchbon Revere passed away at the age of seventy three "after a tedious confinement." Her death must have affected her son deeply, yet Rachel Revere suffered a loss as well. With her husband frequently away from home because of his obligations, she bore the burden of her mother-in-law's final illness and the loss of her help in caring for the children: Joseph Warren, born not quite a month before his grandmother's death; Joshua, who was nearly two-and-a-half; and three girls under the age of twelve. Now more than ever, Rachel would now have to rely on the help of her step-daughters, nineteen-year-old Deborah and fifteen-year-old Sarah. 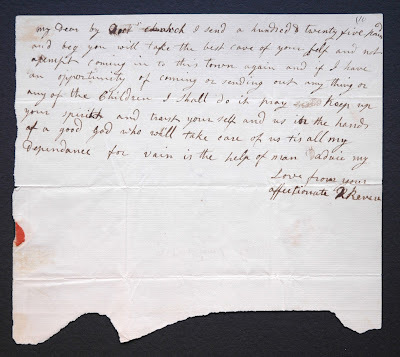 Paul Revere did continue his patriotic duties in numerous ways, but he found it "very irksome to be separated from (Rachel), whom I so tenderly love, and from my little lambs..."
This is, for the most part, all we have for Rachel Revere. (Written on frame: Portrait of Paul Revere. I believe it is appropriate at this point to show two more likenesses we have of Paul Revere and one more of Rachel. There are simply no more images of either to be had. 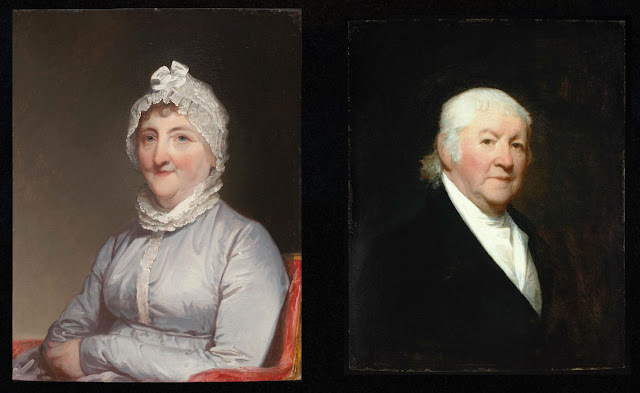 To the left we see one of Revere from the turn of the 19th century, and then below we find Rachel and Paul late in life. 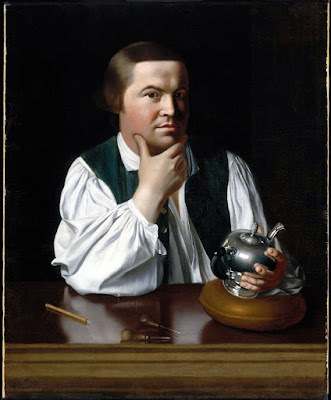 An interesting fact not well-known about Paul Revere is that, "As the century advance(d), small boys begin to appear---all eyes, all ears, they watch 'old Mr. Revere' in church, on the street, at his foundry. Some sixty or seventy years later, when asked, they remember him well. Rowland Ellis remembers (Paul Revere) as a 'thick-set, round faced not very tall person who always wore small clothes.' The Ellis family pew in the 'New Brick Church' was directly behind that of Revere, and there Mr. Ellis says, "I used to see him as regularly as the Sabbath came." Yes, Paul & Rachel Revere and their generation were becoming the grandparents of the next. on June 26, but Paul Revere lived nearly five more years. "look a comfortable and well-wedded old couple." 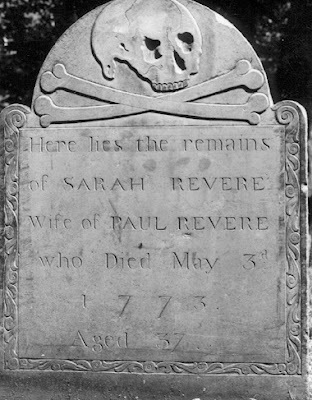 Rachel Revere died in Boston of a "bilious colic" in 1813, at age sixty-eight. Paul Revere died five years later at age eighty-three. They lie together in the Granary Burying Ground in Boston. As deep as I could research, this was all I could find in my books on the revering wives of Paul. Most internet biographies of Sarah and Rachel tended to embellish, far more than necessary, their husband's most famous ride, but little else was set aside for the two wives. And it was supposed to be their biographies! I did my best to keep this post centered on the ladies, though I did include some of Paul's information for historical purposes. Though I could not find much more than what I presented here of Sarah and Rachel, we can at least learn what their lives may have been like, which would add more flesh to the bones of not only these two ladies, but to their generation - both men and women - as a whole. To do this I highly recommend you checking out my posting on life during Colonial times, for I give a general overview of everyday life of their time, and it is loaded with current photographs of actual period homes as well as colonial reenactors: click HERE if you would like to see the post. Also, to learn more on what Sarah and Rachel may have worn, please click HERE for a wonderful and basic overview of women's clothing of the period. Some of my information for today's post came directly from THIS site, THIS site, THIS site, and THIS site. And besides Esther Forbes' wonderful book Paul Revere & The World He Lived In and the excellent Paul Revere's Ride by David Hackett Fisher, I also gleaned information from another recently discovered by me book: A True Republican: The Life of Paul Revere by Jayne E. Triber. Thank you for stopping by - - until next time, see you in time. Hi Ken, thank you for your hard work on this blog. I just wanted you to know that I am still here and still reading even though I rarely comment. I also have a copy of Ester Forbes Paul Revere and the World He Lived In although it is still unread. It’s almost to the top of my tbr pile so I will be getting to it soon. I also want to thank you for sharing your love for our collective American history with all of us. I know it’s very time consuming writing it all out here so just know that you are greatly appreciated. Do you have an Pintrest board or twitter account regarding your re-enacting? No I don't have a pintrest board or a twitter...facebook is pretty much it for me as far as social networking goes. I so very much appreciate you writing - - thanks! Fabulous research ... I absolutely love historical reviews..It was such an enjoyable read. Thank You.